Hettie got our contact details from Linet, one of our regular donors, who then phoned me about donating her wedding gown to us. She is situated in Vredendal, where one of our Ambassadors live, another familiar name, Chrismari. After some careful co-ordination we finally managed to get the gown to TAGI in Gordon’s Bay. This gown is entirely made of white Chiffon with meters of ruffles and even some lace detail. 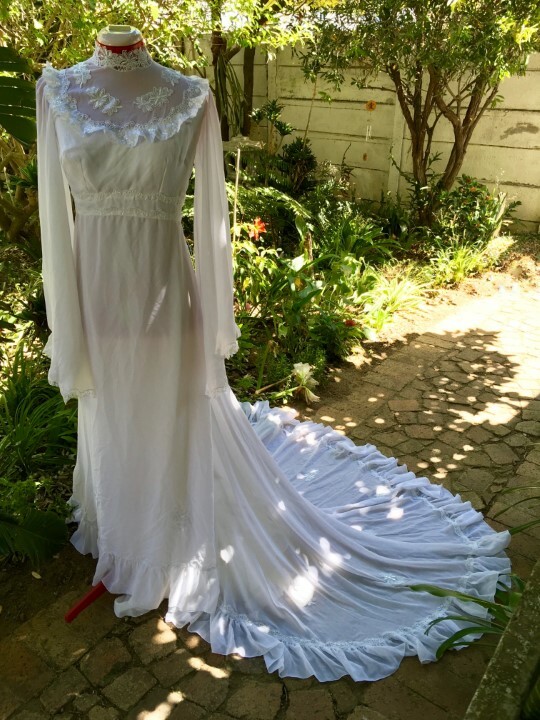 Thank you Hettie for donating your special gown to us!